“O sleep, o gentle sleep, nature’s soft nurse” — Shakespeare, as usual, says it best. We don’t sleep well. We are restless, fidgety. We toss and turn. Dropping off at last, we dream uneasy dreams and wake up as tired as when we lay down. 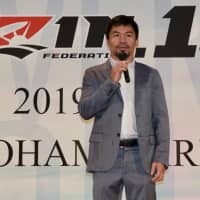 The Japanese in particular are unsound sleepers. 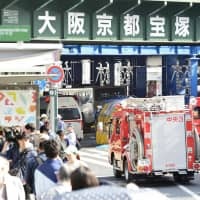 The business magazine President cites University of Michigan research that in 2016 ranked Japan last among 100 nations in terms of hours slept per night. 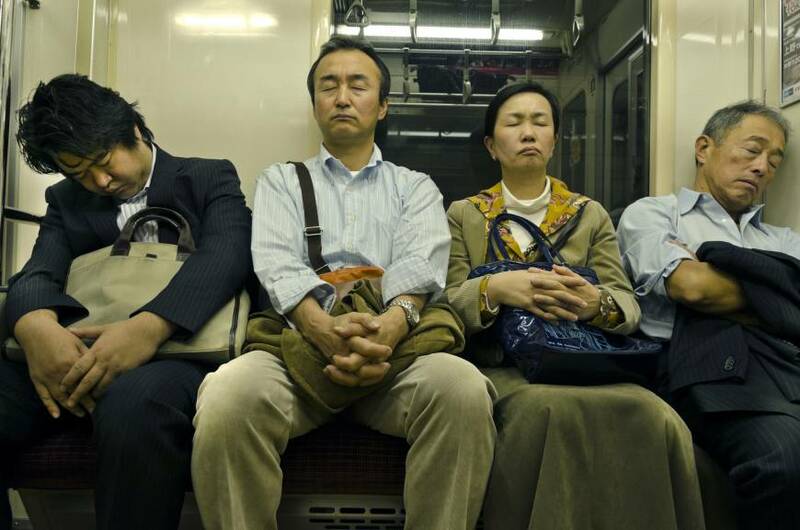 Forty percent of Japanese sleep six hours or less. Experts agree: It’s not enough. Shakespeare (in “Henry IV, Part 2”) speaks through an insomniac 14th-century king girding for battle. Lesser mortals, less burdened, slept undisturbed: “How many thousands of my poorest subjects are at this hour asleep!” His era had yet to turn night into day, as ours has. A king today, if such there were, would not dream of uttering such a thought. In fact, President notes, corporate royalty sleeps relatively well. 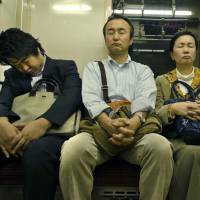 Fifty-nine percent of executives — versus 48 percent of rank-and-file employees — sleep six or more hours a night, says sleep researcher Shuichiro Shirakawa. Fifty-two percent of executives claim satisfaction with the quality of their sleep — as against 30 percent of their subordinates. Why should that be? Accountability must weigh heavily on the subordinates. They’re the ones with the impossible quotas to meet; they’re the ones who take the blame when those above them screw up. They’re also presumably the more distracted — not only by kids to educate and infirm parents to nurse but also by computer gaming and all the other aspects of the sleepless, 24/7 virtual life geared more to the young than to those of executive age. Even at the top, the sleep situation is not good. Six hours sleep is better than five, but inadequate for most of us. On average we need seven to nine hours, and only 15 percent of executives and 14 percent of nonexecutives get that. You may think you know when you’re tired, but you don’t, necessarily. There’s a thing called a sleep debt — a concept developed by Stanford University professor Seiji Nishino. Like financial debt, it can accumulate unnoticed and then suddenly wreak havoc. Fatigue in its place is a good thing. It’s nature’s way of nudging us toward bed. The message got through easily enough in simpler times. In the 1960s, Nishino says, 60 percent of people were in bed by 10 p.m. Nowadays, 20 percent are. That’s hardly surprising. There’s so much to do out there — especially when “out there” gets in under the covers with you via the ubiquitous smartphone, with its hyper-stimulation and sleep-destroying blue light. Shakespeare was right to call sleep “nature’s gentle nurse.” It replenishes cells, resets nerves. Awakening from a good sleep is like being reborn. The brain feels washed clean. Morning sees most people at their best. It’s when the best ideas are apt to come, surprising you sometimes with their vigor and originality. Sleep deprivation does more than make you late for work or school, though it does that too. It blunts some of life’s most piquant joys. There’s fatigue and fatigue. You wake up in the morning feeling not quite right. You feel sleepy during the day. You fall asleep as soon as your head touches the pillow. That last act sounds good but isn’t, psychologist Yoshikuni Edagawa tells President. To sleep well you need to drift off gradually. You can sleep the right number of hours and still be building up a sleep debt. Well, fine, you think — you’ll repay it over the weekend, sleep 10 hours Saturday and Sunday. That won’t work, Edagawa and Nishino agree. Financial debt can be repayed in one fell swoop, if you have the cash. Sleep debt can only be repayed gradually, a little bit at a time. The body and brain dun you like debt collectors. Your performance at work falters, you fall asleep at your desk, your memory plays tricks on you. You might even, for a second or two or 10, fall asleep without knowing it, Nishino says. If you’re with a client when that happens, you might blow a sale. If you’re behind the wheel of a car, you’re not the only person you risk killing. Farther down the road lie medical hazards: high blood pressure, obesity, diabetes, cancer, dementia. Japan is a bright country — dazzling, in Nishino’s eyes. He feels it acutely every time he returns to his homeland from the relatively subdued lighting of Stanford, California, the university town in which he’s based. 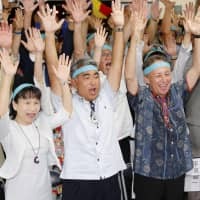 Japan’s 24-hour convenience stores, game centers, vending machines and whatnot — computer and smartphone screens aside — are islands of noon at midnight. Nishino tentatively links this brightness to children’s trouble at school. How to sleep in a city that never sleeps? Sleep-deprived children may find themselves unable to keep up in class. Falling behind can lead to dropping out and worse — at the very worst, to suicide. Child suicide has for decades peaked around the back-to-school season in late August and early September. Sleep is something any infant can do, but beyond infancy it gets tricky. Best-seller lists are full of books about sleep. What prayers please this fastidious goddess? The books may disappoint if you expect advice you couldn’t have thought of yourself. Cultivate restfulness. Design your sleeping environment. Room temperature, humidity, darkness, quiet, the quality of your bed or futon, the height of your pillow(s) are all important. Who doesn’t know that? The trouble is, of course, that, understanding all that, you still have that impossible quota to meet, that crucial presentation to make, that capricious boss to please, that finicky client to satisfy, that computer game to win, that online relationship to pursue — is there a message from him/her? If not now, maybe in 10 minutes? We live lives that refused to be turned off. Apps to the rescue. There are apps that record your sleep, measure it, analyze it, design it, ease you gently into it, draw you gently out of it — with yoga movements, math puzzles, water sounds. “How have I frighted thee?” Shakespeare’s anxiety-ridden king asks “nature’s soft nurse,” “that thou no more wilt weigh my eyelids down and steep my senses in forgetfulness?” Seven centuries later, we know just how he feels.